For more than 30 years we have been assisting farmers get the most out of their farm enterprise. 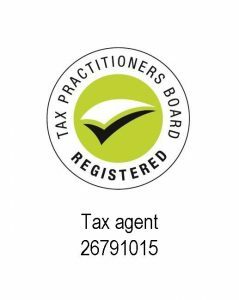 You can trust Watts Price Accountants to professionally handle your taxation issues as we understand the issues that affect farming enterprises in the Wimmera. Wouldn’t you love to know the effect of any business decision on your farm performance, productivity and financial position before you make it? Especially given the size of your investment in farming! If the answer is yes, you’ll be delighted to hear that our comprehensive Wimmera Farm Performance Report that allows you to make more informed farm management decisions is free to all participating farm clients. For the last twenty five years, Watts Price Accountants has compiled detailed analysis of profitability and performance of our Wimmera broad acre cropping farm clients through in-house Farm Benchmarking. Wimmera Farm Performance Reporting is a unique service to the Wimmera as Watts Price Accountants is the only Wimmera accounting firm specialising in Farm Profit analysis and appraisal. Such reporting is then made available to farm clients and rural service providers to assist with decision making in relation to land and plant purchases and finance thereof, leasing and share-farming arrangements to name a few. How can the Wimmera Farm Performance Reporting help you? Do you know how well your farm is performing in general? Is the land you are leasing viable/making you money? Are you thinking of leasing land as opposed to buying more land? How is your farm performing in comparison to farms in your area and other areas? Would you like to know your farms’ strengths and weaknesses? Which crops grown in your area are more profitable per hectare? How can you improve your interest/financing costs? Do you want a clear five year average picture of your farm performance as well as a comparison with other farms and the Top 20% of farms surveyed? We monitor farm profitability to provide feedback on how on farm assets owned, share-farmed or leased are really performing. This can provide valuable insight into farm purchasing, share-farming and leasing decisions. We monitor the leading financial indicators (kpi’s) that the banks focus on when making lending decisions. This means our report is a valuable tool in persuading your bank manager that your farm is profitable, viable and capable of servicing any finance applied for. We calculate labour, plant and farm land productivity as well as asset turnover which provides valuable insight into how productive your farm operation is compared to other farms. The Wimmera Farm Performance Reporting provides five year rolling averages of 17 important key performance indicators (kpi’s) which are calculated for your region, for the median farm and the Top 25% most profitable farms. To receive your free report and one-on-one session please contact our office today on 5382 3001 or at mail@wattsprice.com.au. To get involved in the Wimmera Farm Performance Reports download and complete at least the last 3 years datasheets. We report on 5 year rolling averages so preferably the last 5 years should be completed! If you are already part of the Wimmera Farm Performance Reporting you only need complete any datasheets relating to years you have not previously supplied. For more information on getting involved please contact our office today on 5382 3001 or at mail@wattsprice.com.au.